A delicious new subscription box! 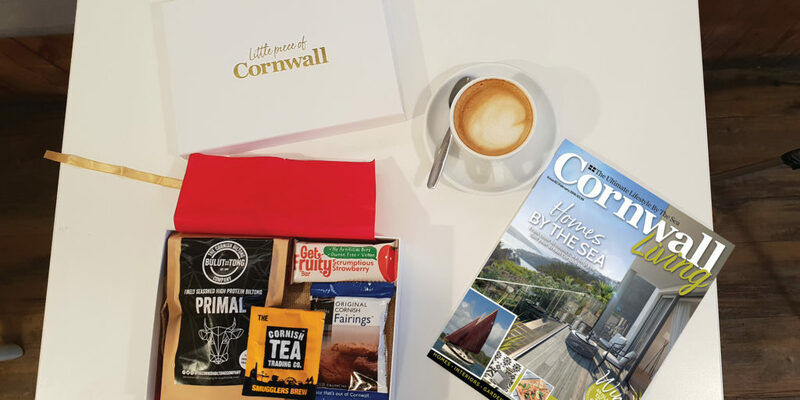 Little piece of Cornwall has just unveiled its first ever subscription box – delivering a selection of Cornish goodies and allowing subscribers to enjoy a little piece of the ultimate lifestyle by the sea, wherever they are. The first box has a definite foodie slant, with some fantastic products from brands new to Cornwall and some that are centuries old! From Furniss Biscuits’ Original Cornish Fairings and Cornish made Biltong (a protein-rich snack made from Cornish beef), to Cornish tea and gluten free, vegan-friendly Get Fruity Bars, there’s something in this first box for everybody. The theme changes monthly too and we hear that for next month, it will be ‘Relaxing and Unwinding’. To read our full review, click here. Newly refurbished last year, The Red Lion in Blackwater has enjoyed resounding success since reopening. And it’s no wonder! This fantastic and family-friendly free house has fast become known for its warm welcomes and exceptional food, especially thanks to the team’s Sunday roasts. Pizza nights, held every Monday, have also proven popular, perfect after a dreary Monday when the last thing you want to do is cook! 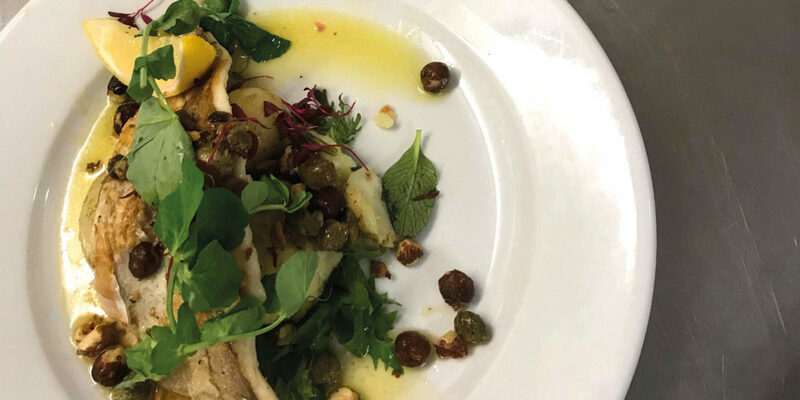 Indeed, since reopening, The Red Lion’s menu has done nothing but impress, catering to all tastes and requirements and including a variety of vegan and vegetarian options. Customer favourites include battered catch of the day, pork tenderloin, and homemade curries – available every Thursday. This Valentine’s Day the team are offering two steaks and a bottle of wine for £30, but be quick – this offer is sure to be popular! Renowned amongst locals for its amazing food, The Lemon Arms in Mylor feels like a home from home. One customer has even gone as far as to say it’s like sitting in someone’s front room thanks to its welcoming atmosphere and regulars who all take the time to get to know one another. With Cornish delicacies such as fresh Fal bay lobster gracing the menu and mouth-watering specials keeping the menu fresh, we highly recommend a visit if you find yourself close to the typically Cornish village of Mylor. Some may say the pub specialises in fish dishes with staple favourites like paella and seafood tagliatelle occasionally appearing on the menu, but it’s certainly what one would call an ‘all rounder’ with equally delicious pies, burgers and gammon steaks. 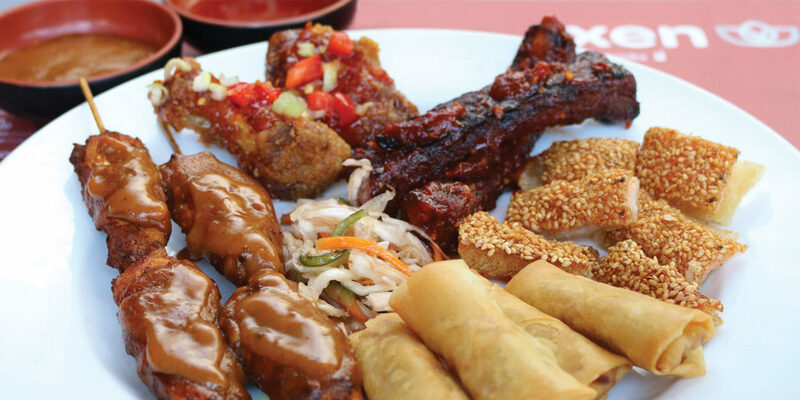 This family-run noodle bar in the heart of Truro serves a varied selection of traditional Asian dishes, offering fantastic value for money. The menu will take you on a journey across the continent, from the aromatic spices of Thailand and Malaysia to the delicate flavours and textures of Japan. They also have authentic South Korean barbecue grills at selected tables, which delivers a whole new fun way of dining. Everything is freshly prepared on site and made using fresh Asian produce, with no MSG and no artificial flavours. The array of colour and taste speaks volumes of the type of food Xen delivers – a positively healthy night out! 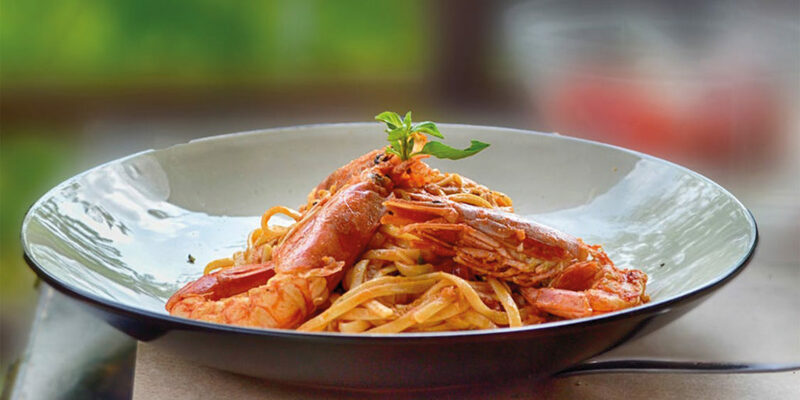 So if you’re itching to go out for dinner but want to stay true to your New Year regime, why not try Xen Noodle Bar?